Local business owners want patrons to shop locally this Saturday to help raise money for Lyme disease. The East End Shop & Dine to End Lyme Disease event will be held Saturday, June 30, to help raise awareness and funds to combat Lyme. Its three organizers, Jennifer Petrocelli, Elizabeth Rasor and Kinzey Fritz, all suffer from chronic neurological Lyme disease, so the event hits close to home. Ms. Petrocelli owns the Preston House Hotel and Restaurant in Riverhead, which opened in February. She was diagnosed in August 2017. “This past year has been really difficult, with opening the Preston House and Hotel, and managing Lyme,” she said. The Global Lyme Alliance, a nonprofit dedicated to conquering Lyme and other tick-borne illnesses through research, education and awareness, is sponsoring the event. Businesses on the North and South forks are participating either by donating a certain percentage of their profits for the day to the Global Lyme Alliance, or by donating a lump sum. North Fork participants include The Preston House, Lucharitos, Goodfood, Sang Lee Farms, Raphael Vineyard, Love Lane Kitchen, Crazy Beans, Mattitaco, Case’s Place, Summer Girl and Taste the East End Boutique. A major reason the three teamed up to put on this event is because testing is inaccurate and Lyme disease is often misdiagnosed as multiple sclerosis, rheumatoid arthritis, fibromyalgia, chronic fatigue syndrome and even Alzheimer’s disease and ALS. Ms. Petrocelli also said the treatment of Lyme disease is often not covered by health insurance. She added that she wants to see this event grow every year. Global Lyme Alliance galas take place in Manhattan every year, but she hopes to eventually bring one out to the East End. “This is just the beginning for us,” Ms. Petrocelli said. Any businesses that would like to participate in the event can email [email protected]. Additional donations can be made at https://fundraise.globallymealliance.org/eastendgla. 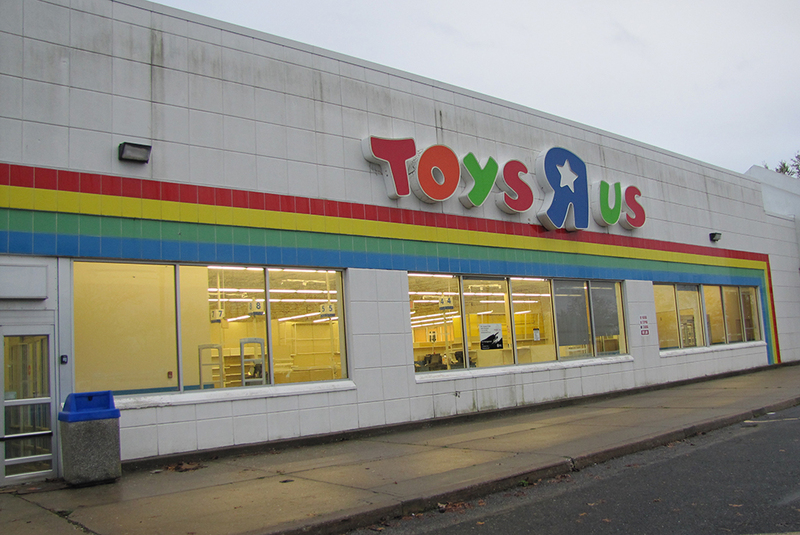 The former Toys R Us location on Route 58 in Riverhead will be taken over by a Raymour & Flanigan furniture store, and the new building under..